In his autobiographical poem, Tristia IV 10, Ovid reviews his poetic career from the perspective of his exile. Quite strangely, however, he makes no reference at all to his major works, the Medea, the Fasti, and the Metamorphoses (only recalled through allusion at line 129). He presents himself as tenerorum lusor Amorum (echoing both his ‘epitaph’, trist. III 3, 73, and am. III 15, 1), and keeps making reference both explicitly and through allusions only to his amatory works. On the other side, he does not mention the Ars amatoria as a cause of his exile, referring only to his notorious error, and declares that Livor has never bitten any of his works, a disconcerting affirmation in the light of Livor’s role at the beginning of am. I 15 and at rem. 361-396. 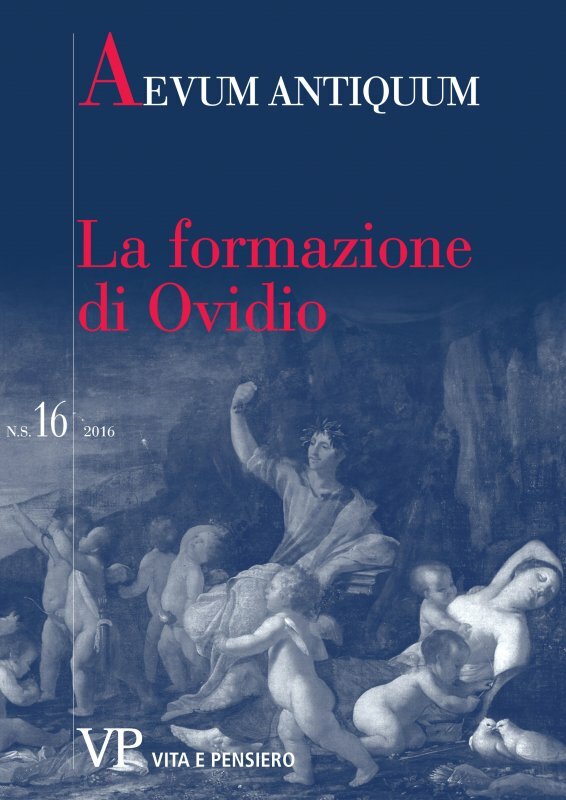 Ovid’s intertextual strategies and his constant revisions of his poetic career (especially in the Amores) are studied in order to make sense of the strange and contradictory self-portrait which emerges from trist. IV 10 and other poems from Ovid’s exile (such as trist. II, III 3, V 1 (a ‘recantation’ of IV 10), Pont. III 3). Trist. IV 10 appears to be an emphatic and daring statement on Ovid’s part on the immortal fame he has attained with his amatory works, including the Ars, in spite of Augustus’ persecution.